Quickly organize your home or store wine cellar! TOTAL 200 Pieces tags allow you to make your collection look superb! 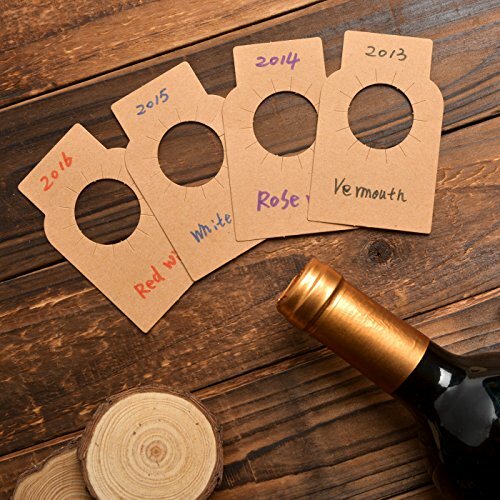 Disposable tags help you distinguish what's in the bottle and fit to most wine bottle. Dimensions approximately 2¼ (width) x 3¼ (height) inches. Great for labeling homemade wines. Tear resistant: An unobtrusive protective coating make it last longer. Kraft paper goes great with wooden racks, metal racks and fit most usual environment. If you have any questions about this product by NOVSIX, contact us by completing and submitting the form below. If you are looking for a specif part number, please include it with your message.